Shungite is a unique mineral widely known as “the Stone of Life” due to its numerous protective and healing properties. It is applied for water purification, electromagnetic frequency (EMF) protection, physical and spiritual healing. But only one thing gives you an opportunity to comprehensively experience positive influence of shungite and enjoy all its properties at once. It is shungite room. Shungite room is a room with walls and floor made from shungite tiles. The first shungite room or chamber was established in the S.M. Kirov Military Medical Academy in St. Petersburg (Russia) in 1996. Nowadays such rooms are usually created in spa resorts, rehabilitation and health centers and hospitals all over the world. People visit shungite rooms for relaxation and overall health improvement that is only possible thanks to shungite. First and foremost, shungite room provides us with comprehensive EMF protection. As you may know, shungite stones absorb up to 98% of electromagnetic radiation emitted by different electronic devices and other machinery that surround us in every-day life. 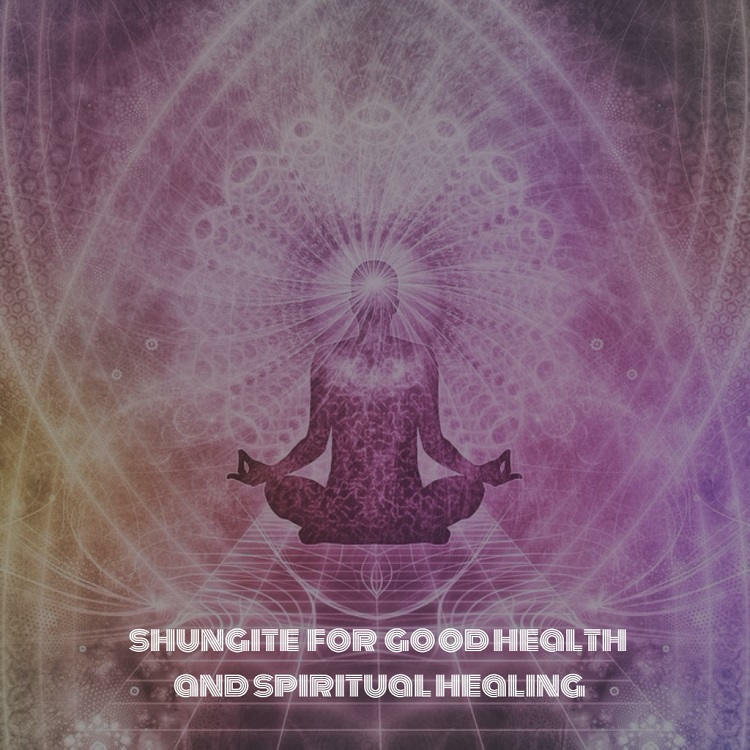 Alongside with protection against man-made radiation, shungite is applied for neutralizing geopathic stress zones resulted from natural EMFs of the Earth. When you are in a shungite room the negative influence of EMF, both natural and artificial, is brought close to zero. Therefore, it is a great preventive measure which can help you to preserve a good health. It can be especially useful for children, pregnant women, people with weaken immune system, as well as people suffering from electromagnetic hypersensitivity since they are more vulnerable to EMF exposure. And, what is more, because of its great EMF protective properties shungite rooms can be organized at factories and plants where people constantly deal with heavy machinery transmitting electromagnetic radiation. Moreover, according to scientists, shungite rooms accelerate the process of recovery after surgeons or serious diseases. There is no surprise. Since shungite blocks all external negative influence, your immune system is able to focus on combating a disease. All internal forces of your body can be aimed at recovery. Besides, shungite walls also generate waves that have positive impact mobilizing all internal processes in human’s body. Studies have shown that even a short time (up to 15 minutes) spent in a shungite room improves blood circulation, normalizes pressure, and improves metabolism. That’s why it is even recommended to conduct medical treatment in shungite rooms to increase its efficiency. If the efficiency of treatment increases, the time needed for overall recovery of patients is reduced. An average hospital stay decreases up to 3 days. So, there is a common belief that by organizing shungite rooms, hospitals can raise the number of patients treated per year without any additional costs. On top of that, shungite rooms are created in sport centers for the acceleration of athlete’s recovery after physical trainings. Furthermore, visiting a shungite room can be extremely useful for people suffering from bronchitis, asthma or other respiratory illnesses. Due to its antiseptic properties shungite purifies the air in the room and endues it with healing properties. Apart from physical treatment shungite rooms is a great way of spiritual healing. Shungite is believed to relieve fatigue and reduce stress and help to deal with sleeping disorders. It significantly improves your mood and performance. Therefore, some employers create shungite rooms in their offices for their employees to have a rest and avoid professional burning out. One of the reasons for such effect of shungite rooms is shungite impact on a person chakra. This mineral cleans and activates the root chakra known as the most important chakra of human’s body and associated with stability and safety of the person. While staying in a shungite room people can relax, feel safe and comfortable. Some experts even recommend treating depressed people and suicidal patients in shungite rooms to ensure efficient psychological rehabilitation. As it has been already mentioned, shungite rooms are now quite popular and created in different spa and health centers. For example, in Russia over recent years shungite rooms were opened in St. Petersburg, Moscow, Sochi, Nizhny Novgorod and, of-course, in Petrozavodsk, the heart of shungite lands. But if you don’t have time or willingness to visit them you can create your own small shungite room in your house. All you need is just shungite tiles and shungite powder. You will ensure comprehensive protection and will be able to experience all therapeutic effect of shungite at any time without extra costs. Shungite tiles are widely applied for rooms’ decorating not only due to its properties, but also thanks to its deep and attractive black color. Both polished and non-polished tiles perfectly suit for creating a shungite room in your home. Another option is shungite powder that with the help of water can be turned into perfect coating material. If shungite doesn’t fit in well with the interior of your apartment just hide it underneath the wallpaper or parquet. Shungite rooms are becoming more and more popular nowadays since the number of people living under pressure and working in extreme conditions is increasing. At the same time there are more and more responsible people who take care of their health. If you are one of them, don’t waste time and experience unique properties of shungite today. Thank you for this great information! I rent my home, so I cannot remodel with tile, but I can paint! What is the recommended ratio of shungite powder to paint? Will it still have a positive effect if I use it as base and then cover with a lighter colored paint? Thank you for your time.